Cleaners take on the duty of cleaning speciality clothing items such as wool, silk, and other fabrics that cannot be washed in a traditional machine. They often specialize in stain removal and wrinkle removal. Some even offer basic alterations or tailoring services for an agreed upon price. Are you interested in finding a cleaner near you? Simply browse cleaners near me on the map below and find a list of cleaners near your area. Need a bit more information on cleaners? Read on for facts, trivia, and bit of history on cleaners! When did laundry cleaning first start? For many Americans, dry cleaning may seem like a fairly recent invention. Afterall, dry cleaning is still deemed a luxury service for many. Surprisingly the earliest records of professional cleaning go all the way back to the ancient Romans. Consider these facts while searching cleaners near me. The first dry cleaning shops were discovered amongst the ruins of Pompeii, a Roman city that was tragically buried by the now infamous eruption of Mount vesuvius back in 79 AD. These cleaners weren’t implementing the tools used today. Instead, they used a type of clay known as fuller’s earth along with lye and ammonia. The ammonia was originally derived from urine. This combination was a proven way to remove stains such as dirt and sweat from articles of clothing. Though extensive, the process proved effective for fabrics that were simply too delicate for a normal wash cycle or for stains that were stubborn and refused to budge. The industry was so prominent in Pompeii, that there was even a proposed tax on collecting urine. To keep up with demand, Fullers (ancient dry cleaners), generally used animal urine and also collected the pots of urine from public bathrooms. Thankfully dry cleaning has come a very long way since the days of collecting urine to remove stains! Dry cleaners handle specialty fabrics and alterations for many customers. Who is the father of modern cleaning? Dry cleaning may date back to Ancient Pompeii, but the fullers of this time did not influence dry cleaning as Jean Baptiste Jolly of France. Jean Baptiste Jolly is known as the father of modern dry cleaning. As the story goes, back in 1825 a maid accidentally knocked over a lamp and spilled a bottle of turpentine on a dirty tablecloth nearby. Jolly took notice that once the turpentine had dried, the stains that had once littered the fabric of the tablecloth were totally gone. Jolly decided to conduct an experiment where he bathed the entire tablecloth in a bathtub full of turpentine. Much like his earlier observation, he noticed that the the tablecloth was free of stains once dried. He took his method and turned into a business by opening the first modern dry cleaning shop in Paris, France. Think about the rich history of this practice as you search cleaners near me. 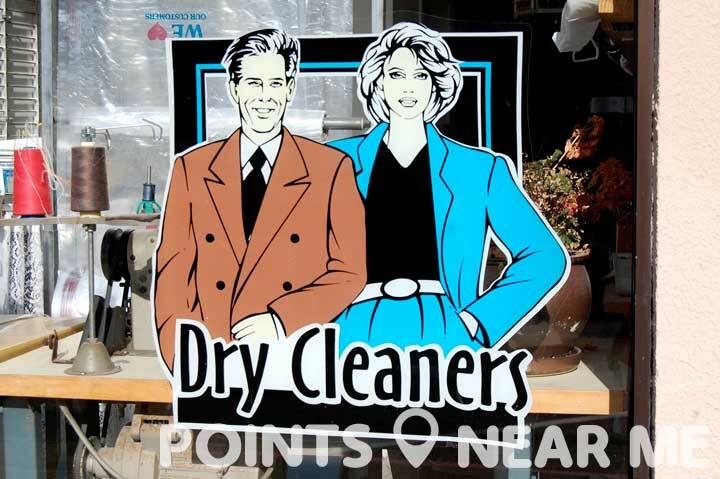 One of the most uncommon things about dry cleaning, is the name itself. Not only does it lead many to believe that the cleaning is somehow conducted without chemicals or water, but it often leads to some confusion as to how the process takes place. The term is very misleading, as dry cleaning is actually done using a fluid solvent that is used to remove oils and grease combined with a small amount of water. Due to the use of solvents, early dry cleaning shops often had to be very wary of starting fires. The amount of chemicals used in early dry cleaning could often lead to a fire hazard. Luckily if you’re searching cleaners near me today, you won’t face the same hazards as early patrons. You can even find some eco friendly cleaners that offer chemical free options. It’s a common misbelief that women are charged more for dry cleaning services than men and in many ways they are. Fortunately, the price has nothing to do with gender itself and is instead indicative of the type of fabrics many women are buying and choosing to have cleaned. Many articles of women’s clothing, especially those made with silk or containing special trim, buttons, or embellishments take a lot more work. Not only do silk items often crease more, but speciality items can take a great deal of care to properly maintain. Because of this, many cleaners have no choice but to boost the price in order to compensate for the amount of time dedicated to each item. Many men’s items are far more simple in design and the fabrics take to steaming far easier. If you’re searching cleaners near me, be prepared to pay a bit more if you’re dropping off a specialty item that may take a greater degree of work. One concern of many searching cleaners near me is the use of perchloroethylene by dry cleaners. Yes, “perc” is under review as a possible carcinogen, but it is still considered by most cleaners to be the best option. Here’s a tip to find out if your clothes are being properly cleaned with “perc.” If you can smell it on your clothes when you pick the item up, the items weren’t cleaned correctly and should be returned for reprocessing. Items done correctly will be free of any smells and are typically harmless. Common reactions to exposure to “perc” include sinus issues and migraine headaches.